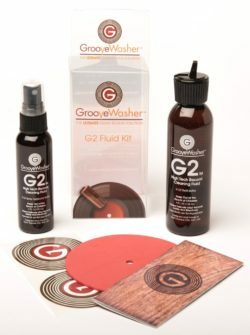 – One 2 ounce bottle of G2 Fluid, with mist spray top. 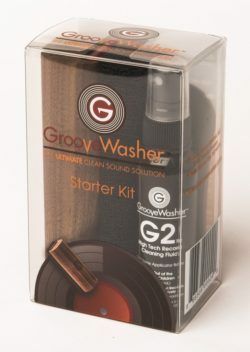 – One 4 ounce bottle of G2 Fluid with spout top. Use to refill the 2 oz mist spray bottle. 900+ mist sprays in this kit. – Label protector mask. 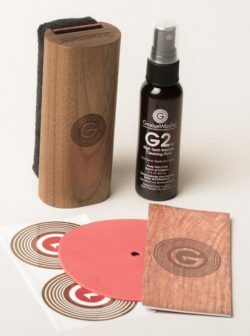 Use to keep your record label dry when using the mist spray. – Record Cleaning Instruction Booklet. –with velcro on the base to secure the pad to the handle and allow easy removal for cleaning or replacement. 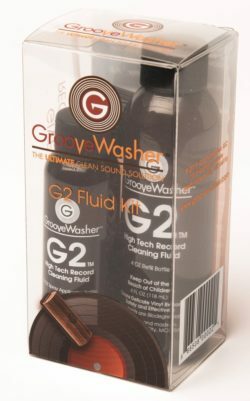 – One 2 oz bottle of G2 Fluid with mist spray applicator.